This product was added to our database on Sunday 30 july 2017. 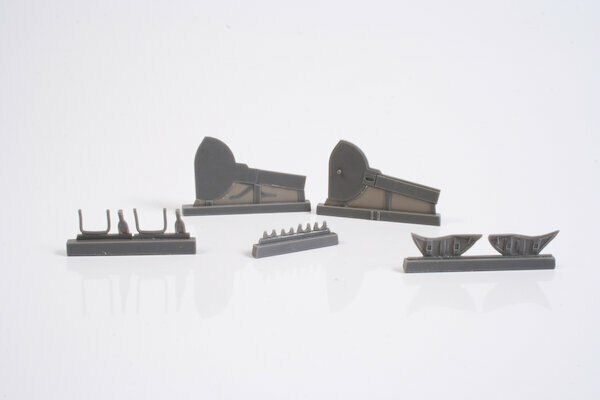 The set provides the modeller with new landing gear doors with their hinges replacing the original kit parts. The new doors have much nicer and sharp-edged details and have also scale thickness while the original ones possessed ejector pin marks on them and were way too thick.